I believe that shearing is a group effort. We want animals to be well handled, minimally stressed, and in and out of the shearing process as quickly and safely as possible. While it’s very important for flock owners to be present during shearing, I have also found that having my own assistants on hand makes things infinitely easier on everyone! I employ assistants during the peak shearing season (April through June) who have been trained to work safely and effectively in the shearing environment. 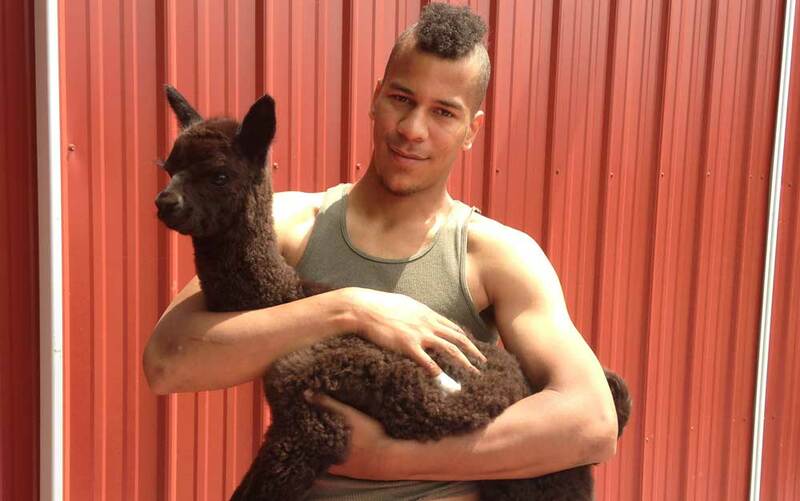 Sean (pictured above), is an aquaculture professional who has been shearing with me since 2011 and has also participated in the advanced professional alpaca shearing seminar. He is soft-spoken, strong, and always gentle with the animals no matter their size (or attitude!). And no, I cannot take credit for the shearing job on his hairdo! Brionna is a sophomore on athletic scholarship at Delaware State University. 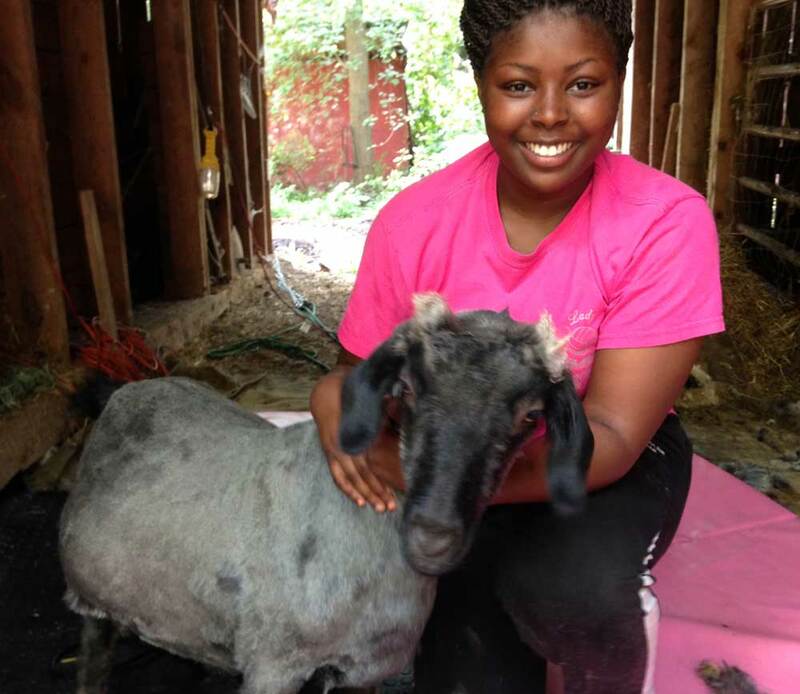 Her family raises alpacas and she is enrolled in the pre-veterinary program so has a keen interest in animals. Her eternal bright smile puts everyone at ease! She has a special talent with camelids and has been known to calm the most uncooperative llamas. ← Why shear at all?